Very aptly said by Plato. Unless we don’t need anything, innovation is not possible. Respecting that, we also think that it is time for a change in the way we approach modern education. 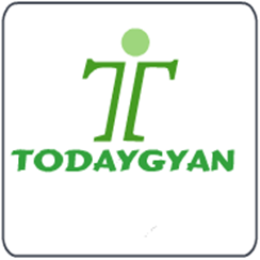 Presenting you TODAY GYAN, a portal for one to explore and find out the hottest technologies and work on it from scratch. Learning has never been so easy. The plethora of knowledge on your fingertips. Our aim is to make the knowledge easily available to you. I hope the passion that we have in putting up these contents is shared by our audience. We are not only stopping here, we would soon be posting videos on short endeavors, one can follow to make interactive and interesting software applications as well as hardware devices which are handy and useful, at the least. Our motto: Lets make world an educated place!